On Wednesday night I went to Walk Off The Earth live at the Saskatoon Exhibition. It was so great! For the price of admission to the Ex ($15) I was able to see one of my top favourite bands live in concert. They were even better in person than they are on YouTube or the radio. Seriously. So good. I have never been more entertained at a concert. You could tell they were totally having a blast performing and they seemed like one big happy family. Even the sound guys were part of the performance, joining in for harmonies, drumming, and catching guitars and ukuleles that were being thrown over half way across the stage for instrument changes. 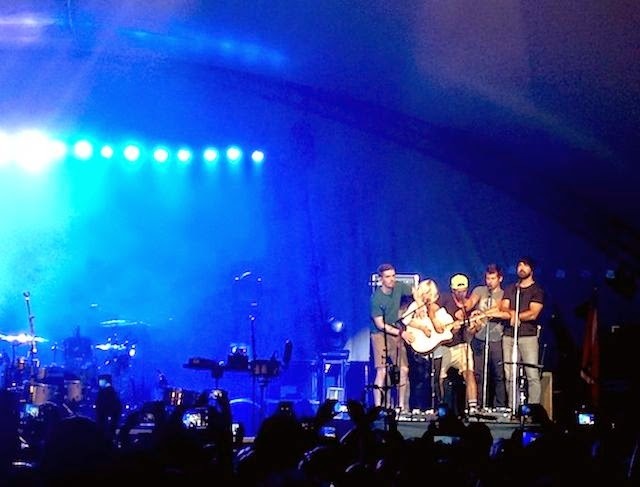 Have you ever seen Walk Off The Earth live? If you have the opportunity to, don't pass it up!